Getting a white version is an important milestone in a gadget’s life. The Samsung Galaxy Nexus is about to get a new body color to match its Ice Cream Sandwich innards. 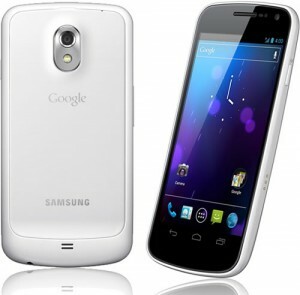 Although some UK mobile phone retailers had pegged the launch of the white Galaxy Nexus for this week, today there’s been official word from Samsung that the device will be available in the UK starting February 13th. Though it’s a generally excellent device, we had some reservations when we reviewed the Galaxy Nexus. One of them was its apparent fragility; so why not make yourself a favor and just get a white case instead? We’re just saying.